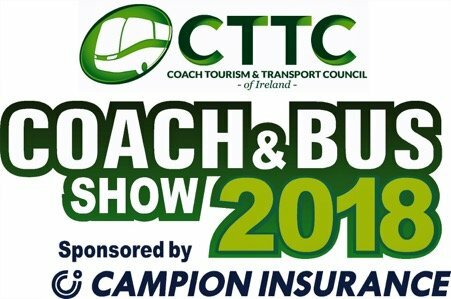 The 10th CTTC Coach & Bus Show 2018, sponsored by Campion Insurance, will once again be held at the RDS, Simmonscourt Pavilion on Saturday/Sunday – 17/18 November next. The biennial event continues its successful format with exhibition halls full of new products supported by service providers. The Coach Driver of the Year Competition and Gala Dinner is also part of the weekend’s activities. Kevin is inviting potential exhibitors to book a stand early (by 30 June) to avail of an early bird discount by logging onto the CTTC website at www.cttc.ie and clicking on the heading: Coach and Bus Show and following the link to book a stand.